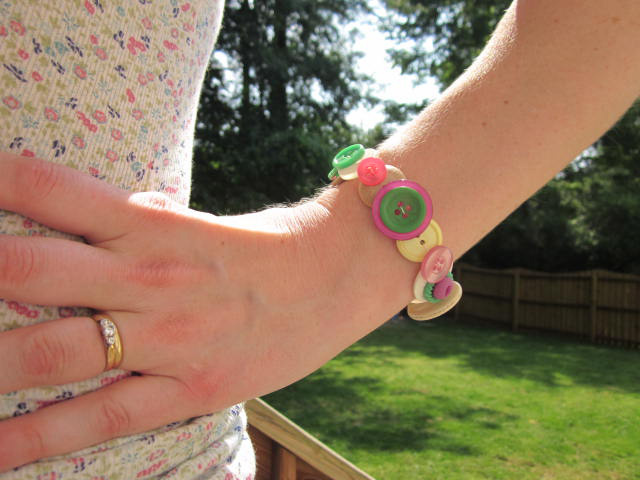 One of my sweet friends was wearing a button bracelet the other day-- it was SO super cute. I told her I was going to attempt to make one, because I loved it so much! So, after a couple tries, I came up with this cute little thing. 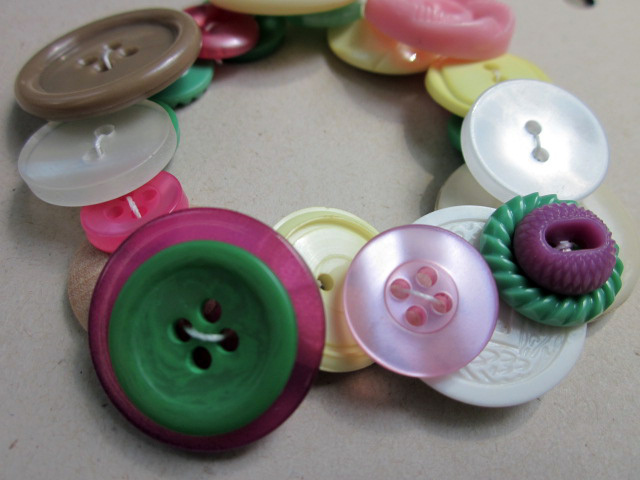 Incredibly simple to make, all you need is elastic thread, a needle, and a bunch of different sizes and colors of buttons. I cut a piece of the elastic after measuring it around my wrist and made it a tad smaller so it would stretch and fit snug. 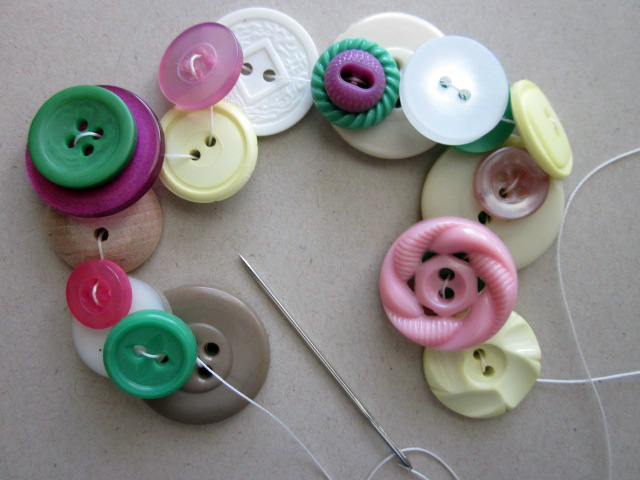 I then threaded the first button on (the large brown one on the left) and tied a knot on the back. 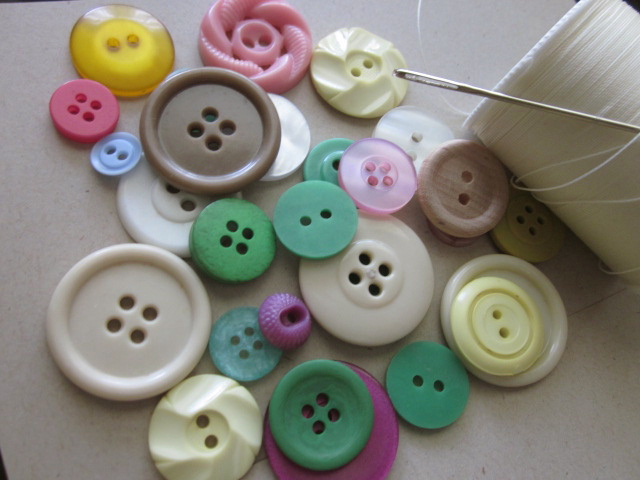 Next, I started threading different buttons on, varying the colors and sizes. Some of the smaller buttons fit on top of the large buttons for a nice layered effect. 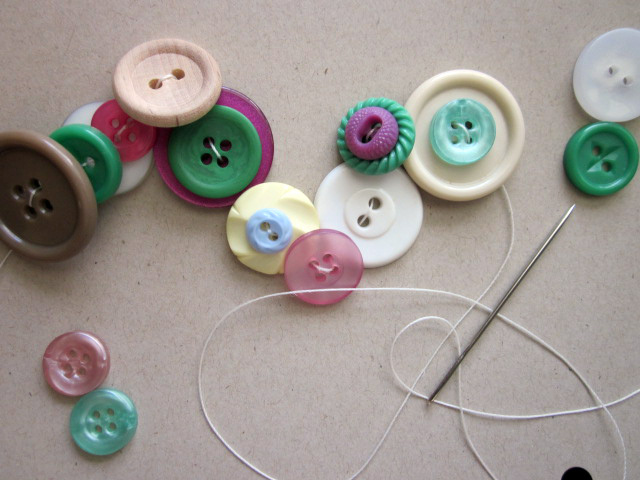 I kept threading on the buttons, as well as pushing them all down on the thread to make them snugly fit next to each other. When I got towards the end, I pulled the elastic out a little bit to fit on one more button and then tied the thread to the back of the beginning button. 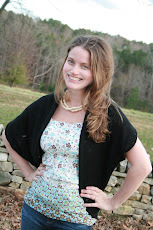 I recently made one of these for a friend-so fun and easy! 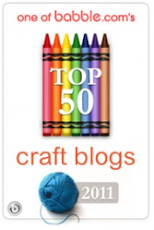 I love the variety and colors of buttons you chose-great job! Seems like I remember making one of these when I was a teenager! They still look great! SO cute! What a great project for any age.